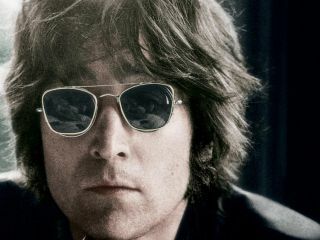 Nearly 30 years after his death, John Lennon will soon be seen in a TV commercial for a charity aimed at providing laptop computers for the world's poorest children. The ad, which was made with Yoko Ono's permission and uses the former Beatle's image and voice - digitally altered in the latter case - benefits the One Laptop Per Child Foundation. In the commercial, which can be seen below, Lennon says, "Imagine every child, no matter where in the world they were, could access a universe of knowledge. They could have a chance to learn, to dream, to achieve anything they want. I tried to do it through my music, but now you can do it in a very different way."